David G. Mugar is a philanthropist and one of Greater Boston’s most influential businesspeople. Among his many achievements are his contributions to the broadcasting industry. He has also served as a Trustee of the Boston Symphony Orchestra, the WGBH Educational Foundation, The Boston Museum of Science, and Boston 4 Celebrations. David G. Mugar, CEO of Mugar Enterprises, Inc., is a philanthropist and one of Greater Boston’s most influential businesspeople of the 20th Century, according to Boston Business Journal. Among his many achievements are his contributions to the broadcasting industry. 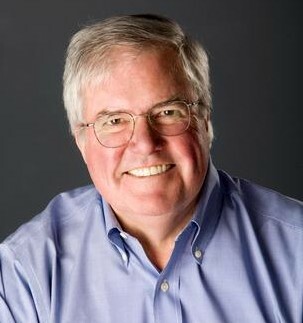 His involvement in broadcasting began in 1969 when he led a group of Boston businessmen to challenge the Federal Communication Commission’s (FCC) broadcast license of Boston’s then-CBS affiliate WNAC Channel 7, which was owned by RKO General, a division of the General Tire and Rubber Company. The suit went all way to the US Supreme Court resulting in a landmark ruling in 1982 which granted Mr. Mugar’s alliance, the New England Television Corporation, WNAC’s television broadcasting license. Under the new call letters WNEV-TV, New England Television took over station operations on May 22, 1982. As Chairman and CEO, Mr. Mugar oversaw the operation of the station for nearly 12 years and helped launch the careers of nationally recognized television personalities including Bill O’Reilly, Matt Lauer, Mike Taibii and Rehema Ellis. In 1974, Mr. Mugar and his close friend Arthur Fiedler sought to revitalize the annual Fourth of July concert on Boston’s Esplanade by playing Tchaikovsky’s “1812 Overture” with cannon fire, area church bells and fireworks over the Charles River. Since then, the Boston Pops Fireworks Spectacular on the Esplanade has gained national popularity and has featured many renowned performers. Mr. Mugar was the sole sponsor of the event for 27 years following the event’s inception and continues to be the Executive Producer of the CBS Television Network Fourth of July Special. For his involvement in Boston’s Fourth of July celebration, the state renamed Embankment Road near Beacon Hill in Boston David G. Mugar Way in 1998 to commemorate the 25th anniversary of the event, and a National Guard Howitzer cannon was decommissioned and placed beside the Hatch Shell in his honor. Mayor Menino appointed Mr. Mugar Executive Producer for Millennial Events for Boston 2000, Inc., which was responsible for organizing the city’s millennium activities and for creating Boston’s Family Fireworks on New Year’s Eve, an event which is still held annually on the Boston Common. He has served as a Trustee of the Boston Symphony Orchestra, the WGBH Educational Foundation, The Boston Museum of Science, and Boston 4 Celebrations.